Bye Karin, it was lovely meeting you. We had a wonderful time here. We enjoyed this flat immensely! We even played some records!! Antwerp is a beautiful city & we liked it better than Amsterdam. P.S. 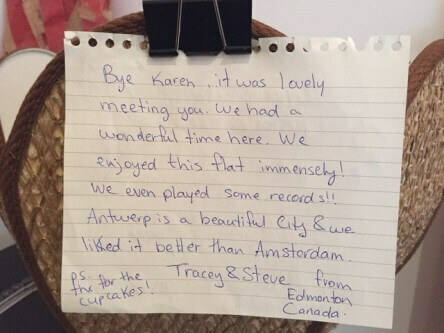 thanks for the cupcakes!